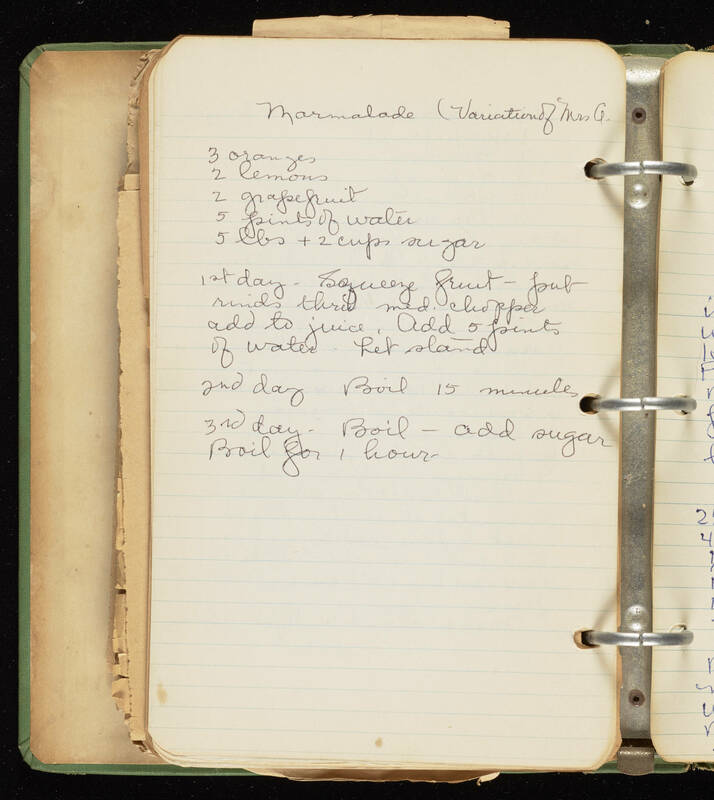 Marmalade (Variation of Mrs. G. 3 oranges 2 lemons 2 grapefruit 5 pints of water 5 lbs + 2 cups sugar 1st day. Squeeze fruit - put rinds thru med. chopper add to juice. Add 5 pints of water Let stand 2nd day Boil 15 minutes 3rd day. Boil - add sugar Boil for 1 hour.